Walmart and Amazon have surely benefited from government protectionism, but the economy is still free enough to promote competition which ends up benefiting consumers. Back in 2011 Walmart invested in pricing tools, realizing that Amazon was doing better. Amazon has algorithms which search the internet for the lowest prices, and then set their products to that price. Generally even when the lowest price is for wholesale ($10 for a pack of ten) Amazon will set their price that low even for a single pack of the product ($1 for a pack). In 2012, the battle between Amazon and Walmart raged over a video game around Christmastime. The price was set around $50 for each retailer, but as a few cents here and there we dropped from the price to gain a tiny edge over competitors, the price of the video game eventually dropped as low as $15. So that means people were not being overcharged for a game, and it means the companies were not making “obscene” profits on the product. The market corrected the negative aspects of business that would not have been corrected if there was a true monopoly. Now, the war of prices is a seasoned game of strategy which brings suppliers into the mix. Both Walmart and Amazon reportedly hound product supply companies to lower their prices in order to better compete. Sometimes, Walmart even encourages suppliers to reorganize their companies so that they can still turn a profit while charging Walmart less. Another tactic employed is to threaten to make their own products which would directly compete with the supplier’s. Amazon seems to keep their suppliers guessing, using a tactic that The 48 Laws of Power suggests to make sure your opponents cannot entirely gauge your real intentions. Amazon will even pull products which do not have a large enough profit margin in an attempt to get the price lowered from the suppliers. Another Amazon tactic is to prohibit some brands from buying ads within the site for a product that Amazon can’t make profitable on a standalone basis. Like paying for prominent placement in a store, a brand can buy ads within Amazon to promote their products. Blocking these ads is another way of burying a product. Everyone loves to complain about Walmart’s profits. Well Amazon accomplished what documentaries, protests, and boycott could not. Walmart’s profits fell 18% last quarter, demonstrating that economic incentives are necessary for change. Of course there are plenty of other issues; if it is all about price, what about quality? And even if the prices are lower for consumers, what about the workers of these companies, will they suffer? But the competition among prices proves an economic lesson that will apply to all these scenarios. In the same way that Amazon and Walmart had to lower prices to compete, they will also be forced to compete to attract employees, or to have the best quality products. Even if Walmart and Amazon are the main players currently, they are still not the only players: there is Target, Overstock, and plenty of other brick and mortar and online retailers. Is it hard for other to compete? Sure, but certainly not impossible, and as Walmart and Amazon are weakened by their fight against each other, third parties will be able to slip in to offer something that neither company does offer. The Wish App is one example, where you can get crazy good deals if you don’t mind waiting. The Dollar Shave Club is another example; direct to consumer websites offering products could be on the rise, especially if people tire of dealing with giant retailers. But the real point is that competition among companies is a good thing for consumers, because it drives costs down. That is what consumers are currently focused on, but consumers could just as easily bring quality up, or improve employee treatment if that were something they felt strongly about. When businesses react to their customers, they become a reflection of the people. In a sense, Walmart and Amazon offer a democracy where not only do you get to vote with your dollar on how they operate, you can also remove your support entirely by going to a competitor. Imagine if government had to compete in this same way, dropping the prices they charge people for their services. And imagine if you could switch back and forth between governments without changing your location. What if government services were simply competitive products delivered by businesses which could attract customers within the same territory, with overlapping jurisdiction? War would break out! No, it wouldn’t. Pricing wars would, just like now. War is expensive, and only possible in a system where governments plunder their people to fund their violence. No government working on a business model could afford war, and they would do everything possible to avoid violent conflict. But protection from neighboring warlords would still be an available service, and the government companies vying for your business would compete to deliver what you need, for the lowest cost, just as Walmart and Amazon currently do. However evil you think corporations are, they are only a product of the governments who protect them, and the people who patronize them. The benefits of competition in the market can be seen even through the government’s smoke and strings. Remove the government from the equation, and consumer choice will only increase. I could go on and on about the Post and its historic CIA ties. But now, right now, the owner of the Post is Jeff Bezos, who also owns Amazon. And Amazon has a $600 million contract to provide the CIA cloud computing services (more here and here). The world’s largest retailer is under fire for releasing a device that, according to some experts, is little more than a spying tool for government surveillance. 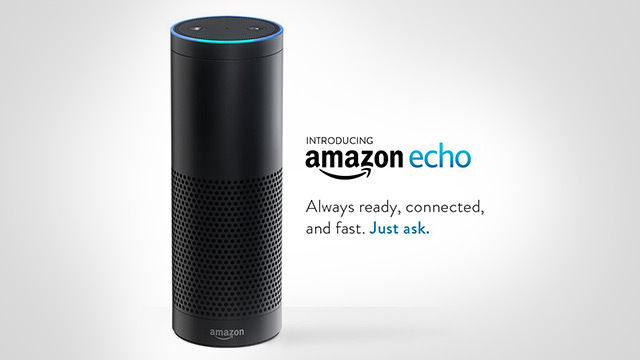 The “Amazon Echo” device, a constantly-listening Bluetooth speaker that connects to music streaming services like Pandora and Spotify at the sound of a person’s voice, can be easily hacked and used by government agencies like the FBI to listen in on conversations. Much like Apple’s iPhone, which contains a listening apparatus via “Siri” that can be activated in a room simply by speaking out loud, the Amazon Echo is programmed to listen for certain verbal commands telling it to turn on, for instance, or to connect to a certain app. Amazon says the device contains “far-field voice recognition” that can hear a person’s voice across the room, even while music is playing. Not only does the Amazon Echo respond to commands, but it can even answer questions and read audiobooks aloud, as well as providing other on-demand services at a user’s verbal prompting. One can even control lighting in a house or adjust a programmable, WiFi-enabled thermostat like the Nest via an Amazon Echo, which for many people who are too lazy to perform these tasks using human cognition is a dream come true. But this dream comes at a price, warn skeptics who’ve investigated the capability of the Amazon Echo to spy on people and deliver information to hackers or even government officials. Writing for ZD Net, Zack Whittaker explains that Amazon Echo’s transparency reports fail to outline everywhere where data from the device is sent, listing only Amazon’s cloud services as a source of data storage. 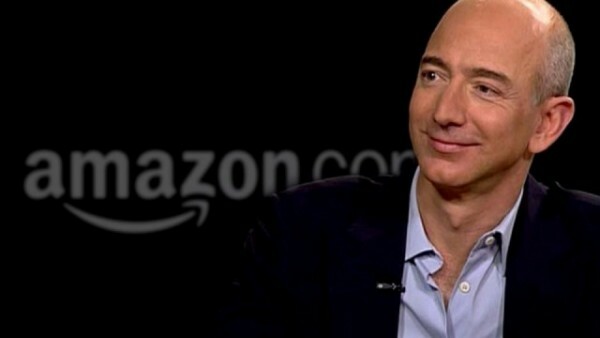 Is Amazon selling your family’s privacy to the federal government? And yet, Amazon’s transparency reports admit that the company is routinely handed subpoenas, search warrants and court orders demanding information about users from government agencies like the Federal Bureau of Investigation (FBI). Amazon has yet to indicate how many of these requests have actually been fulfilled, and those seeking answers have yet to find them. “In many ways the Echo is a law enforcement dream,” writes Matt Novak for Paleo Future, a division of Gizmodo. Novak filed a Freedom of Information Act (FOIA) request with the FBI back in March to find out if the federal agency had ever wiretapped an Amazon Echo, to which the agency responded that it could “neither confirm nor deny” – essentially an admission of guilt. As of this writing, Amazon has reportedly sold some 3 million Amazon Echo speakers to unsuspecting consumers who apparently don’t mind that they’re basically paying a multinational corporation to spy on them, and possibly hand over private conversations and other information, including purchase information, music preferences and more to marketers and government infiltrators. Smartphones and laptop computers really aren’t much better, as most of these devices these days contain both microphones and cameras that we know are capable of recording when they aren’t activated – and in some cases, when they’re not even on.